The PBE has been updated! As we continue the 7.3 PBE cycle, tonight's update includes the Blood Moon Talon splash art, several tentative balance changes, and more! 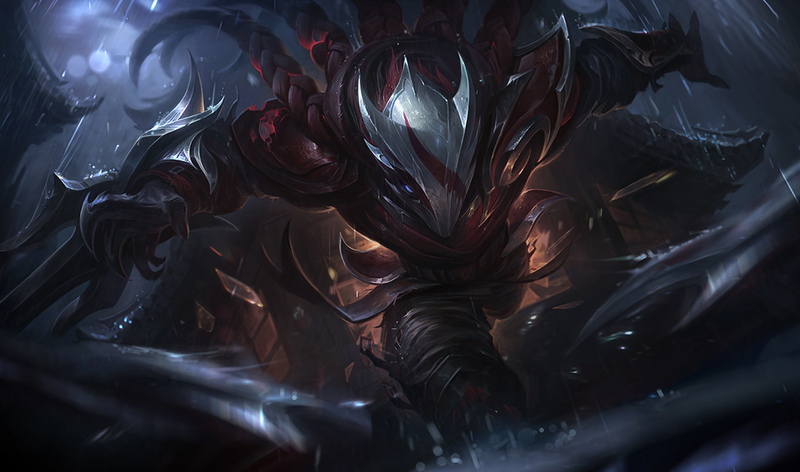 Blood Moon Talon's splash art is now on the PBE - Alex Flores is the artist. Check out our earlier 7.3 PBE coverage for splash arts, previews, and more for these upcoming skins! 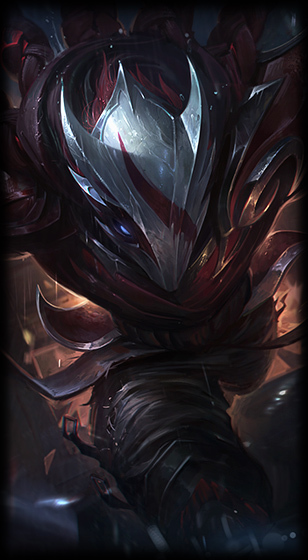 Blood Moon Jhin summoner icon flipped. 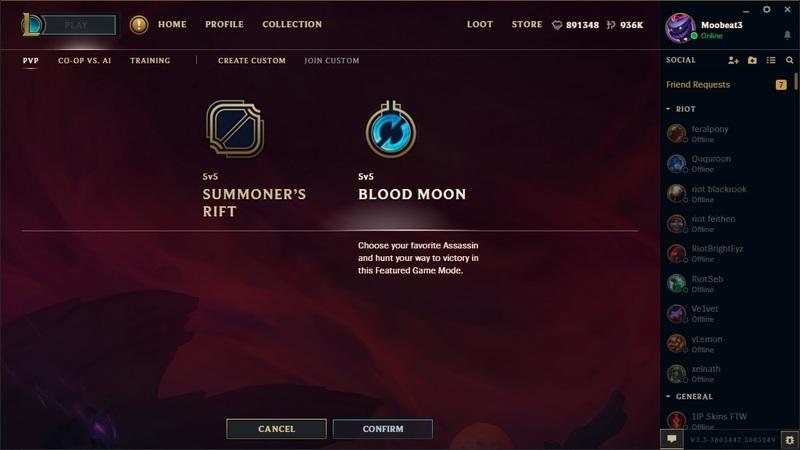 Hunt of the Blood Moon (upcoming game mode in testing) background picture assets as well as Champion select music added. 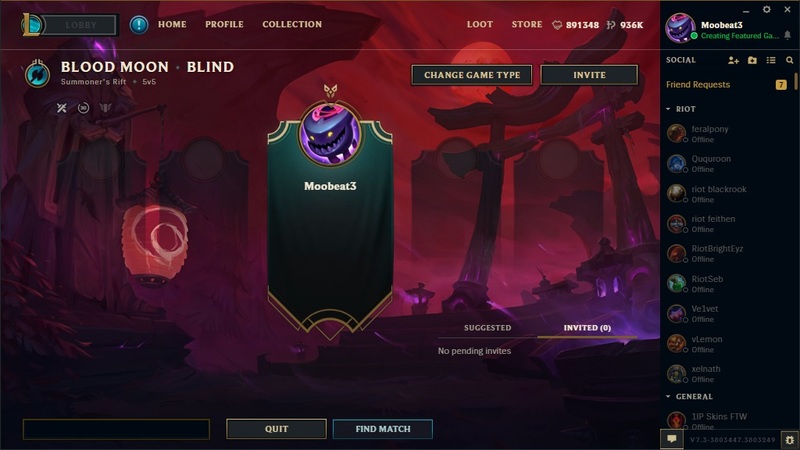 Champion mastery is now enabled on Hunt for the Blood Moon. Triggerseed (E) cooldown reverted to 12/11/10/9/8 from 10 at all ranks. 1/24 PBE Update: Blood Moon Diana, Jhin, Talon, and Twisted Fate, "Assassin Mode", and more! 1/27 PBE Update: Blood Moon Jhin splash art, Blood Moon Diana Login Theme, and more!